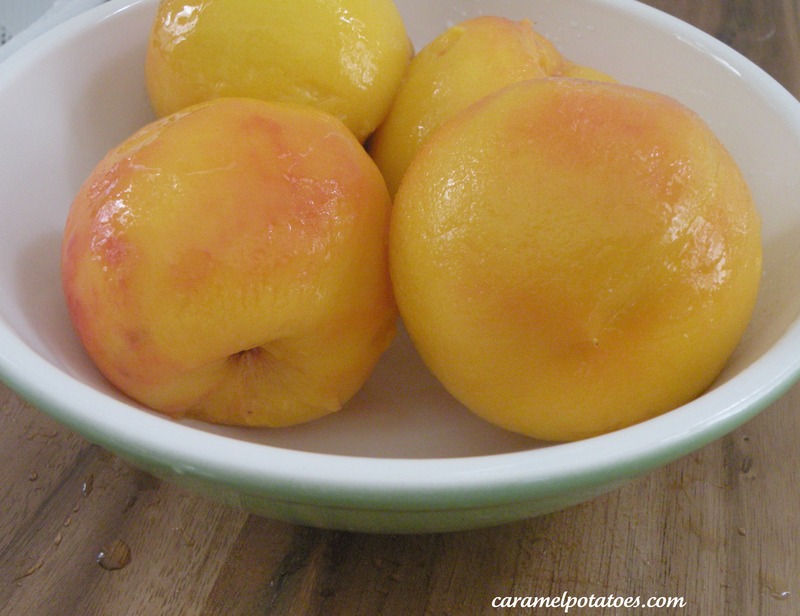 When I was growing up we would spend a few days every year bottling peaches – quarts and quarts of them. To this day I still love the smell of peaches and the taste of that home-canned fruit. So naturally I thought everyone knew the secret to peeling peaches; but after talking to several friends I discovered differently. 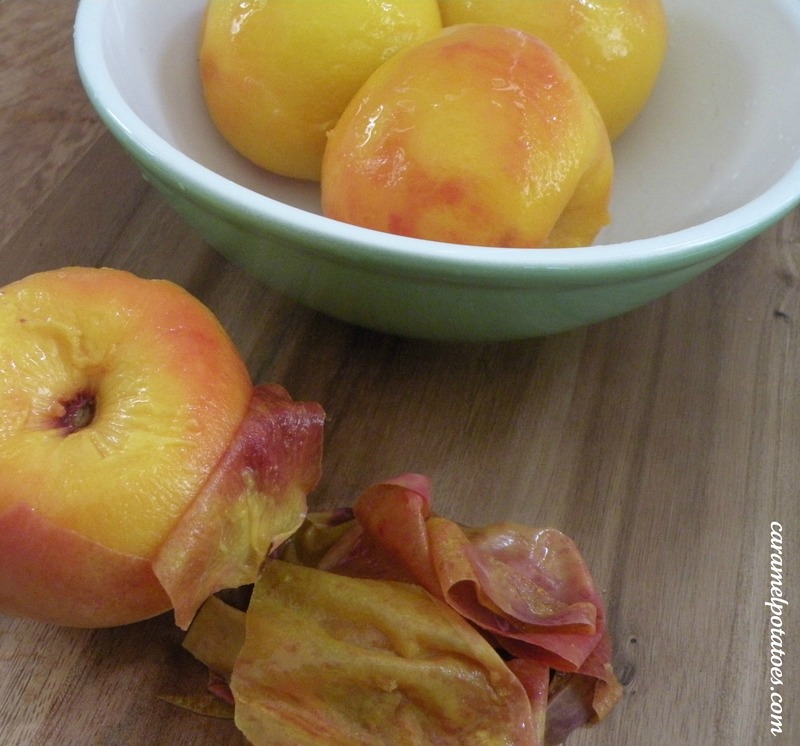 If you’ve never blanched your peaches to “skin” them, put down your paring knife and try this simple tip. 1. Bring a large pan of water to a boil. It doesn’t have to be huge, it’s usually easiest to work in small batches (3-4 peaches at a time). Try to get the water deep enough to cover the peaches. 2. When that is about ready, prepare a large bowl of ice water. 3. 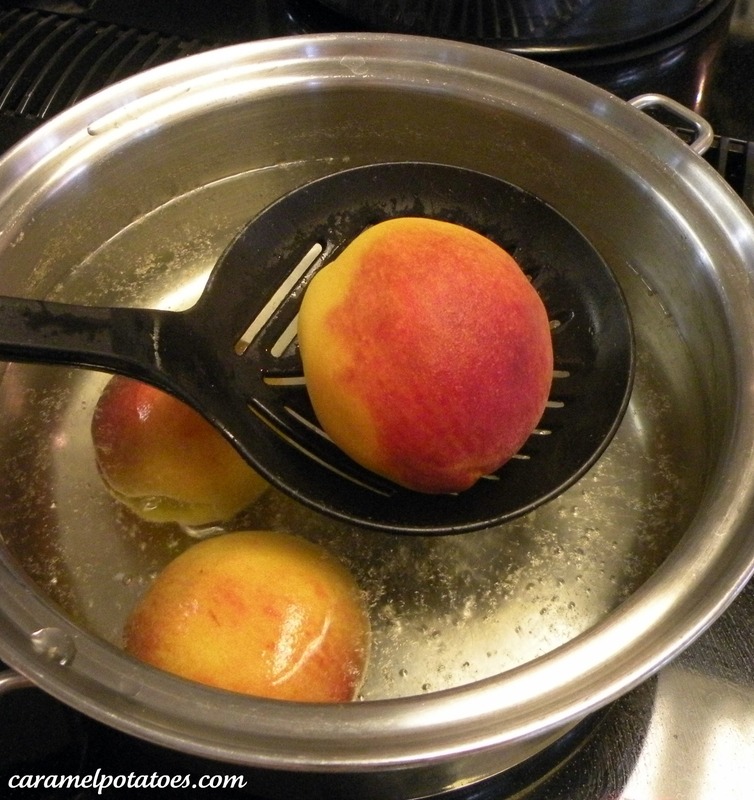 Use a slotted spoon to put your peaches in the boiling water to “blanch” them ( just means to put them in the boiling water and quickly remove them): 15-20 seconds will do it. 4. Spoon the peaches out of the boiling water into the ice water (this will stop the heat – we don’t want them to cook at all). Just another 15- 20 seconds here and they are ready to peel. 5. Remove the peaches from the ice water into a colander so they can drain. Using your fingers slide the skin back starting at the stem section and watch the skin just slip right off. There you have it! 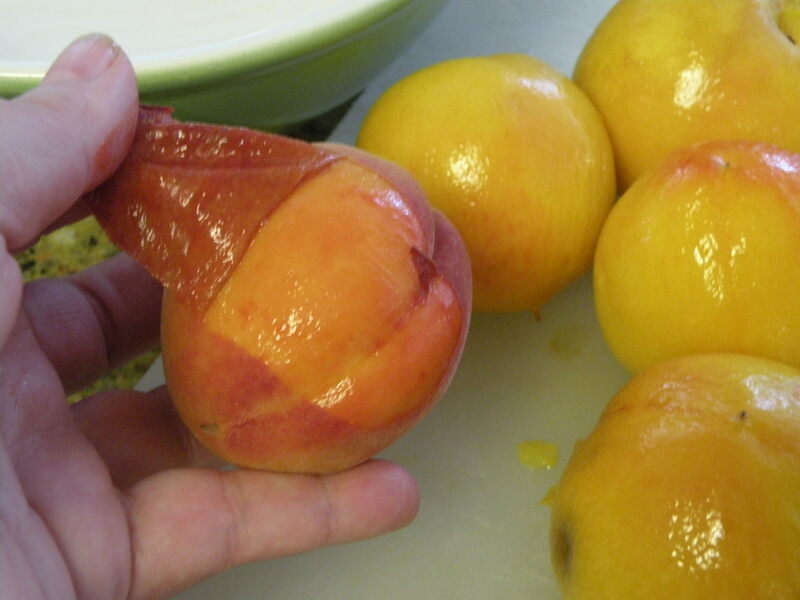 Perfectly peeled peaches without wasting a speck of fruit. 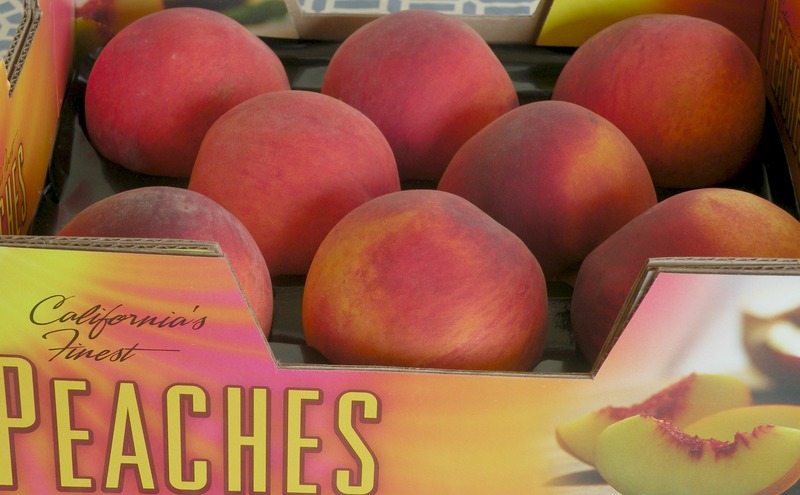 Now slice them up and make your favorite peach pie or cobbler. Better yet, just sprinkle those peaches with a little sugar and enjoy on a big bowl of ice cream! Wow!! This is so helpful! I just started making Logan fresh baby food and he loves peaches!! Thanks so much!! My grandma taught me this trick years ago. It is so helpful, and like you said, very easy. Great blog.